Prosperity isn't just about wealth and material goods. 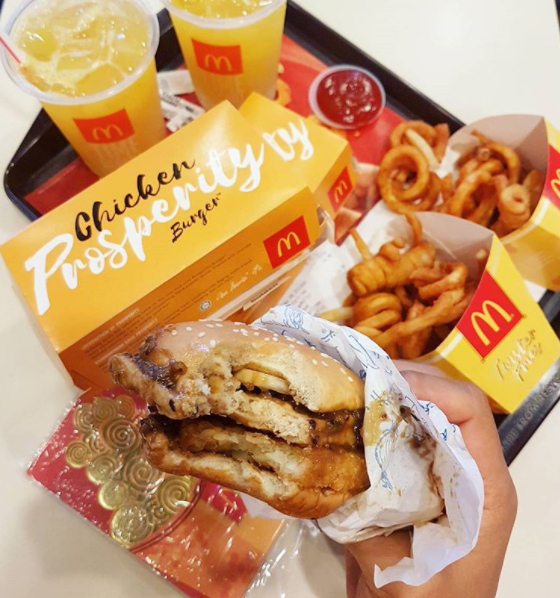 Every year, Malaysians look forward to the release of the Prosperity Burger from McDonald's, it just doesn't feel like CNY without it! This year, McDonald's has decided to take things one step further. Instead of just promoting Prosperity as a product, they've also released a CNY video about the true meaning of Prosperity. When we think of Prosperity, many of us immediately associate it with wealth or material goods. But McDonald's wants to remind us all that there's so much more to Prosperity - it's not about what you have, it's about who you have! Titled 'You Are My Prosperity', the video touchingly highlights how it's so easy for us to get caught up in the superficial things that we think CNY is about like our fabulous new clothes, eating grand meals, and collecting as much ang pow as we can. We often forget that CNY is only complete when you spend it with your loved ones, and being able to spend time with them is the true reason why we go through all the effort to travel home every year. Stop stressing out about having to bring home hampers and ang pow or about having to spend loads on fancy clothes and grand meals. Just enjoy being with your loved ones, because love and happiness truly trumps all material wealth, which is why McDonald's message aptly states that #YouAreMyProsperity. McDonald's wishes you a Happy Chinese New Year and hopes you have a wonderful time celebrating with your families! Oh yes, it's that time of the year again! "If you eat eight fish eyes, you can score 8A's!" Now's the best time to up your photography game!